This 1974 copy of Music Scene makes it into Brand New Retro as it has a cover by Jim Fitzpatrick and a feature on Rory Gallagher. Rory talks of his days with the Impact showband when he was just 15. Published by IPC publishing in London, It had no connection with the Irish magazines called Scene, which as it happens had Jim Fitzpatrick as art director. 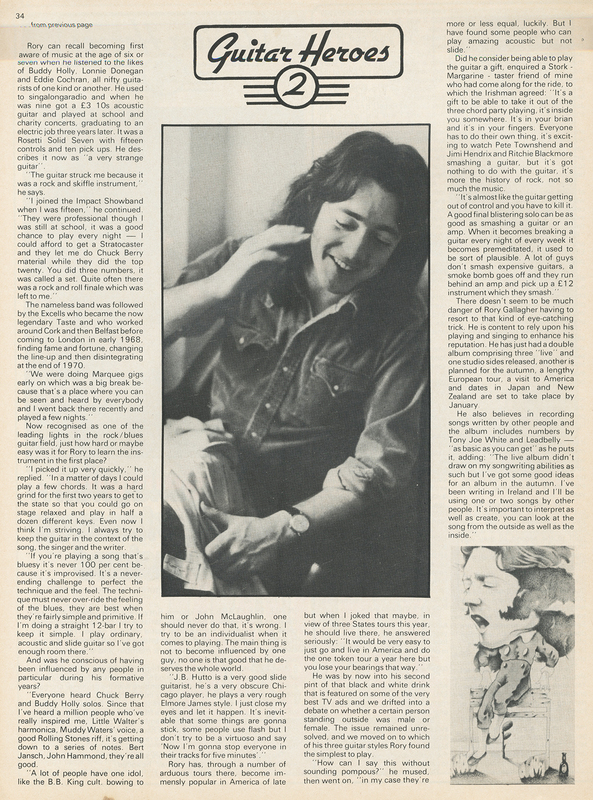 Jim did the cover of Scene’s August issue in 1968 which is displayed below. During the late 1980’s early 1990’s there were sausages the were different e.g Galtee had a chessy sausage in 1990 Denny had a Lean ‘n’ Lite Sausages.